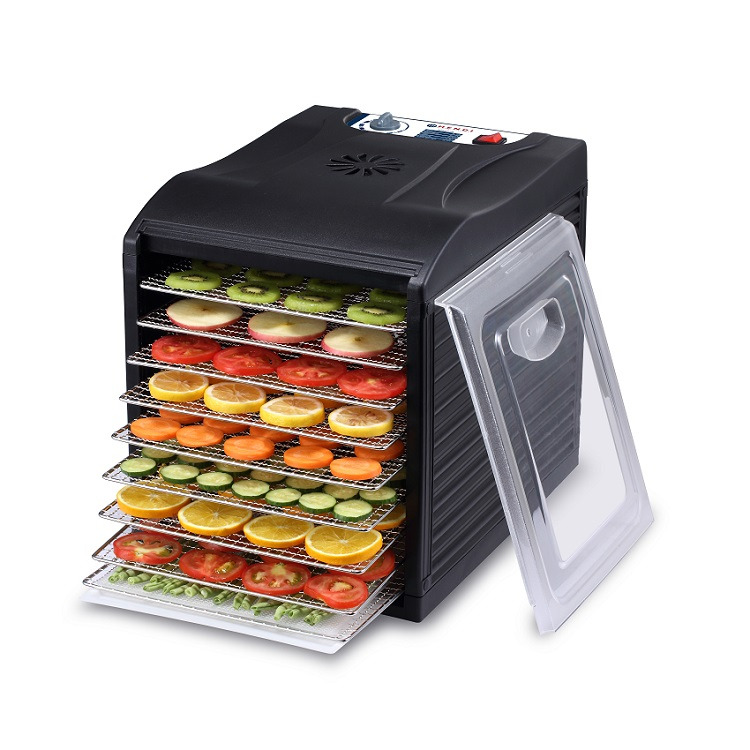 For drying fruits, vegetables, herbs, meat, fish, etc. Automatic fans circulate the warm air for an evenly dried result. Fitted with 9 stainless steel 330x305 mm trays which can hold up to 500 grams each. Trays are evenly spaced at 35 mm intervals and are easy to remove and clean. Inside of the housing and the door are made of BPA-free materials. Thanks to the transparent door you can keep an eye on the drying process. Delivered with a transparent pad which can be used to catch the residue on the bottom of the dryer or to make fruit leather. Temperature adjustable from 35° to 70°C.